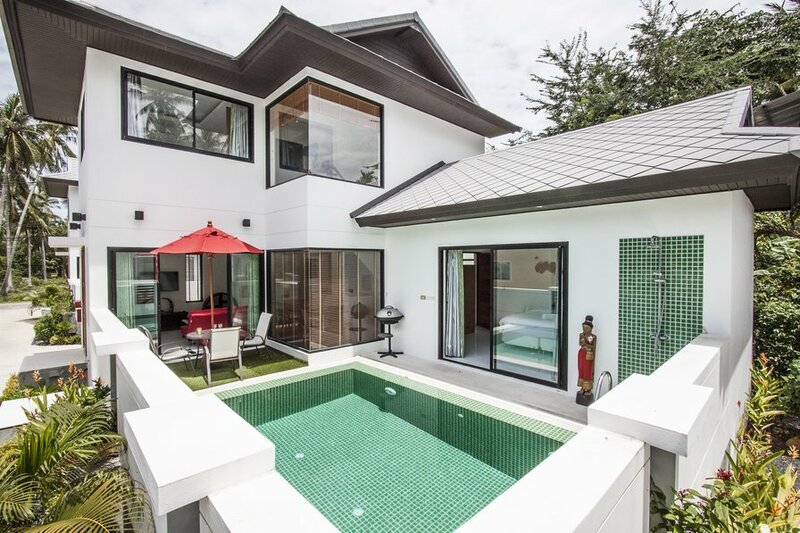 Located just 1.2km from Ban Tai Beach in the north of Samui, this 3-bedroom villa is set over 2 levels and comes with a private swimming pool and a modern design. On the ground floor you will find a tropical garden with a private swimming pool, the main living area and the master bedroom. On the upper floors you will find 2 more bedrooms. This recently-constructed villa is modern and comes with excellent Wi-Fi connections.